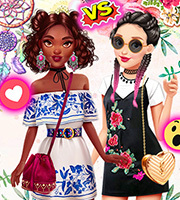 Description: fashion styles! Being a fashionista it only takes finding your own fashion style. 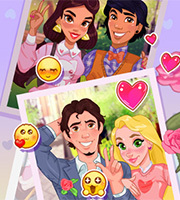 Play this new dress up game to enjoy two new amazing styles that you will absolutely love. Browse through the categories and choose a unique outfit from head to toes for each girl. On one side, you can enjoy the boho style with romantic flower or Aztec prints and a bright makeup to try on. On the other side, the grunge style fits the rock side, with logos on the tshirts and a daring makeup to match it with. Have fun here!